Over the past few years, moths have caused serious problems. They digest rug fibers, such as wool and silk. They also damage synthetic fibers that have protein elements. Moths and insects are attracted to the Vitamin B that is left on the fibers of the rug, Vitamin B is found in the oils and grease left by from animals and humans. Proper knowledge is needed when tackling moth problems because they attack various surfaces, harming the integrity of your rug. Moths attack by eating away at the fiber causing visible wear, and in some cases eating their way through the foundation. Regular cleaning is strongly recommended, because moths dislike fibers that are cleaned properly. Rug moths are commonly found in dark locations that do not have much traffic. Moths spend a lot of time on rugs that are never vacuumed. Moths are also found in areas that pets are attracted to you. Don’t let rug rug fall victim to these pesky creatures. 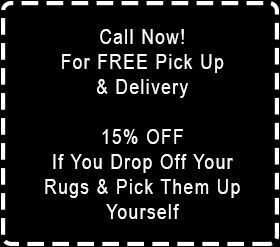 Call Magic Rug Cleaners, and let us give your rug the thorough cleaning it deserves!